A shepherd boy, straw hat hung over his shoulder, adores the Newborn Child. 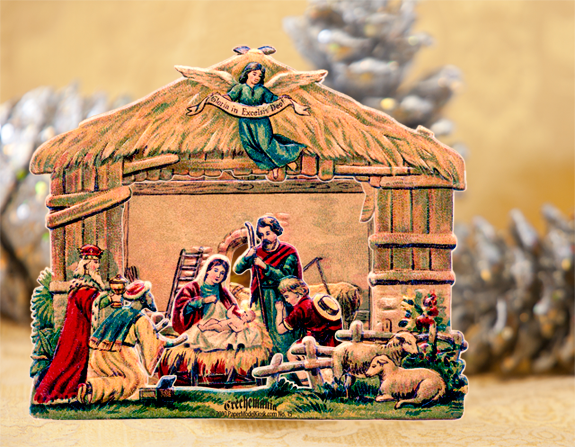 One sheet of paper is all it takes to create this small, vintage nativity. Size: 4.5 x 4 x 0.75 inches. Buy Straw Hat Nativity as part of a collection, and save!